Exactly two months after scrapping the NJAC Act, a constitution bench of the Supreme Court which had embarked on a mission to improve the collegiums system today virtually put the ball back into the government's court by giving the Centre the liberty to finalise a draft memorandum of procedure for appointing judges to the Supreme Court and High Courts in consultation with the Chief Justice of India. It was an anti-climax as the bench headed by justice J S Khehar which was expected to draw a roadmap on four crucial parameters it itself had set on -- How to improve transparency in judges selection process , What changes to be made to the eligibility criteria for persons to be considered for appointment as a judge, On formation of an office of the collegium in the Supreme Court which will be called the secretariat and On how to deal with any complaints against persons in the zone of consideration-- providing only broad suggestions to the government to be included in the Memorandum on four points to ensure transparency. “During the course of hearing, we were also informed by the learned Attorney General, that the Memorandum of Procedure and introducing amendments therein, had always been prepared by the Government of India in consultation with the President of India and the Chief Justice of India. This practice, we were informed, had been consistently adopted, in consonance with the directions contained in paragraph 478 of the Second Judges case. In order to allay any fear that may be entertained by any of the stakeholders, it was submitted that the same procedure would be adopted now, if the task was entrusted to the executive. We are in complete agreement with the suggestion of the learned Attorney General”, the constitution bench noted. The bench then added: “It is made clear that the guidelines mentioned above are only broad suggestions for consideration and supplementing the Memorandum of Procedure for the faithful implementation of the principles laid down in the Second Judges case and the Third Judges case”. The bench apparently wanted to be seen giving the government its due share in improving the collegium and in matters of appointment of judges to the higher judiciary. Regarding the eligibility criterion, the bench said a minimum age should be prescribed for persons in the zone of consideration for elevation to the Bench in both HCs and the Supreme Court. On eligibility criterion, the court said a minimum age should be prescribed for persons in the zone of consideration for elevation to the Bench in both HCs and the Supreme Court. “The eligibility criteria and the procedure as detailed in the Memorandum of Procedure for the appointment of Judges ought to be made available on the website of the Court concerned and on the website of the Department of Justice of the Government of India”, said the order. On ushering in transparency, the court suggested that the final memorandum of procedure be put up on the websites of all the HCs and the Supreme Court. It further suggested that a record of dissenting opinions of sitting judges against a particular candidate should be maintained for transparency. “The Memorandum of Procedure may provide for an appropriate procedure for minuting the discussions including recording the dissenting opinion of the Judges in the collegium while making provision for the confidentiality of the minutes consistent with the requirement of transparency in the system of appointment of Judges”, it said. The court also suggested that independent secretariats be established in every High Court for streamlining the appointment process and rceiving of complaints. The procedure in receiving and dealing with complaints should also be put up on the websites of higher courts. The Bench kept it open for the government and the highest judiciary to introduce further suggestions into the memorandum of procedure without sacrificing the requirements of confidentiality. On the transparency aspect the bench suggested that the final memorandum of procedure be put up on the websites of all the HCs and the Supreme Court. It further suggested that a record of dissenting opinions of sitting judges against a particular candidate should be maintained for transparency. The court also suggested that independent secretariats be established in every High Court for streamlining the appointment process and rceiving of complaints. The procedure in receiving and dealing with complaints should also be put up on the websites of higher courts. The Bench kept it open for the government and the highest judiciary to introduce further suggestions into the memorandum of procedure without sacrificing the requirements of confidentiality. “It is not possible for us to submit a draft for judicial discussion. Either we ourselves do it our your lordship may pronounce a judgment on the formation of a secretariat for collegiums, fix appointment criteria and decide on how to deal with the complaints and we shall implement it or follow it . If the whole thing is finalized by the government the role of chief justice is finished” said Rohatgi. The AG also told the court :”You can only supplement and not supplant while fixing the criteria for the appointment of judges and all other aspects. If you radically change things decided by a nine-judge bench then the strength of the present bench comes into question. I feel it can only be done by a nine judge bench”. Todays order from the bench came after marathon deliberations on the suggestions forwarded by legal luminiaries, bodies representing advocates including Bar Council of India, academicians and for the first time the general public who were allowed to post their suggestion on the website of the ministry of law and justice. Setting the stage for a stiff judiciary versus executive confrontation, the constitution bench had on October 16 struck down the new law brought in by the Narendra Modi government which had given it a major role, including veto powers, in matters relating to appointment and transfer of apex court and high court judges. The six-member National Judicial Appointments Commission — led by chief justice and with two senior-most SC judges, law minister and two “eminent persons” nominated by a committee comprising PM, CJI and Leader of Opposition in the Lok Sabha or leader of the largest Opposition party in LS — was to replace the two-decade-old collegium system in which the chief justice and four senior-most judges appointed judges. All five judges in the constitution bench — Justices JS Khehar, J Chelameswar, AK Goel, Madan B Lokur and Kurian Joseph in separate judgments agreed that the collegium system needed to be more transparent and required improvements. 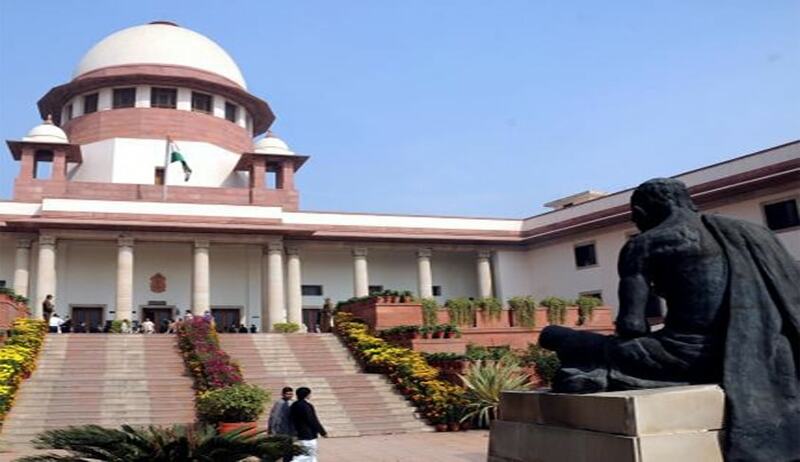 Terming NJAC an affront on independence of judiciary, violative of basic structure of the Constitution, in breach of principle of separation of powers and not guaranteeing primacy to the judiciary in appointment of judges, they said even the existing collegium system had faults. Wrote Justice Kurian: “the collegium system lacks trans parency, accountability and objectivity. The trust deficit has affected the credibility of the collegium system, as sometimes observed by the civic society”. The Memorandum of Procedure may provide for any other matter considered appropriate for ensuring transparency and accountability including interaction with the recommendee(s) by the collegium of the Supreme Court, without sacrificing the confidentiality of the appointment process.